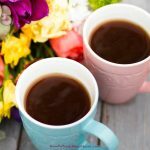 Home What is Acid Reflux? Acid reflux is a health issue that most experience occasionally. When food is swallowed, it travels from the mouth down the esophagus to the stomach where a strong acid (hydrochloric acid) helps to break down food. At the base of the esophagus is a ring of muscle that closes to prevent acid from refluxing. This ring of muscle is the lower esophageal sphincter (LES). Unfortunately, the LES doesn’t always close tightly enough or is compromised. This allows acid to backflow (reflux) into the esophagus. 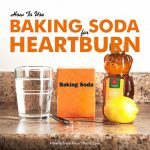 The most common pain associated with acid reflux is heartburn. The stomach has a special lining that protects against this acid, but the esophagus does not. 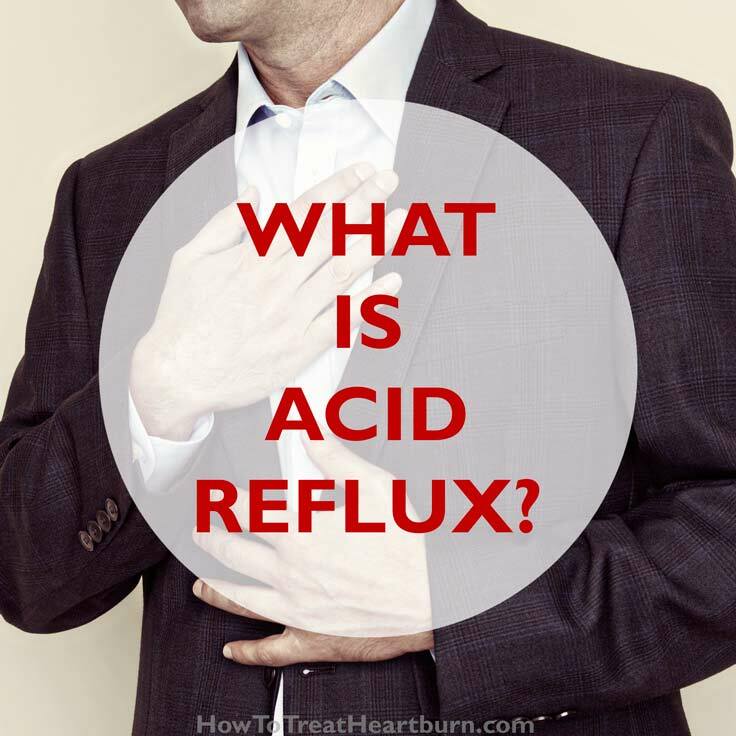 When acids reflux into the esophagus, they irritate and cause pain. This pain is heartburn. For a more detailed explanation of these symptoms, please see the article on Acid Reflux Symptoms. What Causes Acid Reflux Symptoms? Pressure placed on the LES or poor closure of the LES are the main reasons why acid reflux occurs. But what issues and conditions cause the LES to become compromised and allow acid to reflux into the esophagus? The following are the top causes of acid reflux. Most people experience acid reflux from time to time and should not be alarmed. It’s a common experience after ingesting certain food or drink. However, frequent acid reflux can damage the esophagus. When acid reflux occurs two or more times a week, symptoms have developed into gastroesophageal reflux disease (GERD). Left untreated, GERD can lead to esophagitis, Barrett’s esophagus, and other serious complications including an increased risk of esophageal cancer. Heartburn trigger foods can increase stomach acid, cause irritation, and weaken the closure of the LES. Heartburn trigger foods include processed food, fatty meat, fried food, dairy, spicy food, the allium family (garlic, onions, shallots, leeks, and chives), tomatoes, acidic fruits, alcohol, coffee, caffeine, carbonated beverages, mint, chocolate, and acidic candies. Elimination diets and keeping a heartburn journal for logging foods and situations that trigger heartburn are recommended. Some foods and activities may cause problems at different times of the day and certain foods may be a trigger for some and not others. We are all different and have to learn the triggers of our acid reflux symptoms. Tobacco/nicotine causes irritation and relaxation of the LES leading to acid reflux. Smoking and chewing tobacco or nicotine products will irritate the throat and increase heartburn symptoms. Tobacco/nicotine products include smoking tobacco, chewing tobacco, nicotine patches and nicotine gum. Alcohol relaxes the LES and any alcoholic beverage that is carbonated or nitrogenated will cause pressure on the LES and compromise its closure. A well functioning digestive system will reduce the odds of acid reflux by preventing slow digestion, bloating and constipation. A prolonged digestive process increases the risk for experiencing acid reflux symptoms. Eat a fiber rich diet to keep the bowels moving. If you aren’t getting enough fiber through fruits and vegetables, fiber supplements can be taken. Drinking plenty of water is required for keeping the digestive system moving. Fatty meals can prolong the digestive process. The digestive system requires certain vitamins and minerals to function properly. A high-quality multivitamin (women’s multivitamin/men’s multivitamin) can help aid in getting the needed nutrients. Digestive enzymes can improve digestion and help elevate low acid levels. Stomach acids trigger the LES to close. If they are too low, the LES will not close properly and acid reflux will occur. Probiotics and prebiotics can help keep the gut healthy and functioning properly. Probiotics are good bacteria and prebiotics are a food source for the probiotics. These good bacteria keep the bad bacteria in check. If there aren’t enough good bacteria in the intestines, bad bacteria overgrowth (e.g. Helicobacter pylori (H. pylori), small intestine bacterial overgrowth (SIBO)) and candida overgrowth can occur. Light exercise can improve digestion and elimination. Exercise also reduces stress and lowers weight. Slow down and thoroughly chew your food. Many of us are rushed and speed through meals. Eating slowly helps trigger the release of digestive enzymes. More finely chewed meals put less stress on the digestive system and allow for a greater absorption of nutrients as well. Do not overeat. Contents of a full stomach cause unnecessary pressure on the LES and can weaken its seal allowing acid to reflux into the esophagus. Smaller meals are best. Eating slowly helps the body know when it’s full. Putting down eating utensils after each bite is an effective way of slowing down. Four or five smaller meals spaced evenly throughout the day are better than the typical three. These smaller meals will put less pressure on the LES. Larger meals should be eaten earlier in the day. 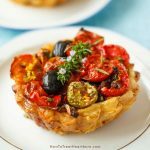 Light easily digestible meals are best for evening meals. 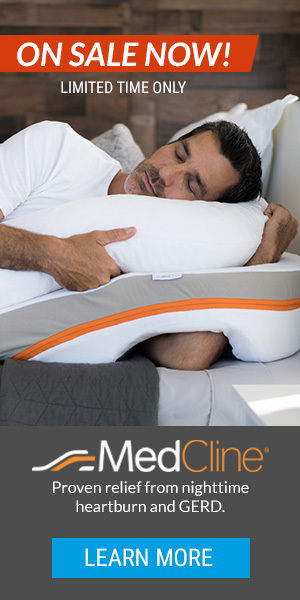 Fast two or more hours before going to bed to avoid nighttime acid reflux symptoms. Remain upright during the day. Reclined and slouched positions cause stomach contents to press on the LES. Lying down after eating can cause pressure on the LES. Stay upright after eating and let gravity help in keeping your stomach contents where it belongs. Elevating your head and torso when you sleep can help reduce pressure on the LES. This can be accomplished by putting four to six inch blocks under the head of the bed or by using a mattress bed wedge or acid reflux pillow system. Lie on your left side when sleeping. The shape of the digestive tract is such that lying on your left side puts the stomach in a lower position preventing its contents from placing as much pressure on the LES. Conversely, lying on your right side will increase pressure on the LES. Being over weight causes excess pressure on the LES leading to acid reflux. Tight fitting clothes and belts around the abdomen increase pressure. Movements like bending over increase abdominal pressure. Certain exercise movements may cause pressure on the LES as well. Find ways to relax. Stress exacerbates acid reflux symptoms by increasing acid production, weakening the LES, and increasing the body’s sensitivity to heartburn. Both OTC and prescription medications can have side effects that cause acid reflux. Consult your doctor to see if any medications taken before bed could be taken in the morning or some other time when you could remain upright, thus reducing pressure on the LES and reducing chances of acid reflux. If possible, avoid taking medications that can irritate the stomach and cause acid reflux symptoms. Numerous health issues can add to acid reflux symptoms. A hiatal hernia can prohibit the LES from closing properly. Hiatal hernias would need to be repaired surgically. Hypochlorhydria a condition of having low stomach acid can lead to acid reflux symptoms. Proper acid levels help trigger the LES to close. Low stomach acid can be caused by an overpopulation of bad bacteria in the intestines. Age is another cause. As we age, the body has a tendency to produce less stomach acid. Digestive enzymes like Betaine HCl will improve low acid levels. If you are experiencing acid reflux symptoms, you should see your doctor to discuss treatment options. In many cases, lifestyle changes combined with over-the-counter acid reflux medication are all that’s needed to control acid reflux symptoms. Treatments for acid reflux usually consist of taking over-the-counter heartburn medications known as antacids, histamine receptor blockers (H2 blockers), and Proton-pump inhibitors (PPIs). PPIs are mainly used in the treatment of those who have developed GERD and should be reserved to aid in healing the damaged esophageal lining. These acid reflux medications cover the three levels of over-the-counter acid reflux medication. Their order of aggression in fighting stomach acid are antacids, H2 blockers, and PPIs. Antacids are used to neutralize stomach acid. Antacids are fast acting but the relief they provide is two hours or less. There are different types of antacid options. Some have the added benefit of coating and protecting the esophagus by forming a protective barrier from acid. H2 blockers decrease stomach acid production to provide up to 12 hours of relief. H2 blockers are not fast acting like antacids. They take a few hours before taking effect. PPIs are the strongest form of acid suppressant. They are used to reduce stomach acid when antacids and H2 blockers are not providing the needed relief. PPI’s can take days before relief from acid is felt. PPIs should only to be used for a short term as directed on the label or as your doctor prescribes. They have been linked to an increased risk of heart attack, liver damage, chronic kidney disease, and premature death. They also cause a rebound of acid production when their use is discontinued. Most recently PPIs have been linked to an increased risk of mortality. We have been conditioned to use medications for ailments, but natural remedies may also relieve acid reflux symptoms. 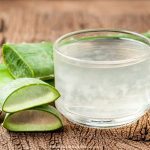 For details on treating acid reflux natural, please see the article on natural heartburn remedies. Paying close attention to your body will help you find the root cause of your acid reflux symptoms. Once the root cause has been determined, the most effective treatment option can be followed. In most cases, diet and lifestyle changes are required to prevent chronic acid reflux symptoms. Eating right and taking care of our bodies isn’t always easy but doing so will provide a better quality of life with a reduction in acid reflux.